As much as I love testing out new makeup and trailing all of the new products out there, I really love it when I find gems likes these in my post! 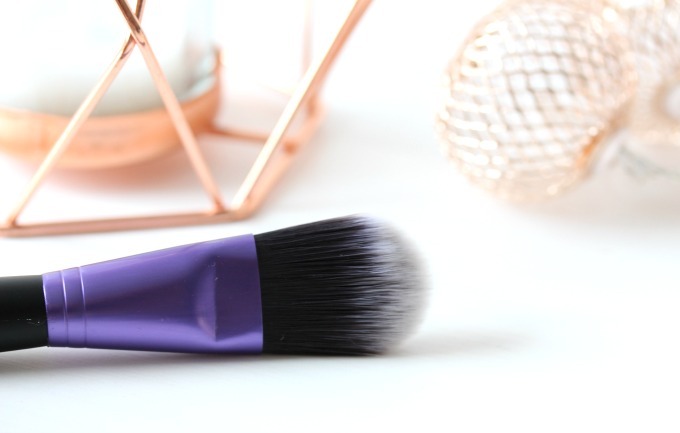 I don’t think I give beauty tools enough credit on my blog and so today this one is dedicated to these three bits from Brush Works. Now, Brush Works are a brand that I haven’t heard of before, however I was very excited to see what pieces I would be sent after receiving this email whilst I was on holiday! The first product I was generously gifted was actually a complexion sponge. Now, I’m a bit of a snob when it comes to complexion sponges. I hate to admit it, but I’ve tried so many of them and none have compared to how much I love my Beauty Blender. For £4.99, I was a little dubious at how good this complexion sponge would be but I have to hold my hands up with this one and say that I was really wrong. This sponge does a really good bloody job at blending out my cream contour and I am so glad that I now have this. Long story short, I almost bought a new Beauty Blender in America and I’m really glad that I didn’t now! 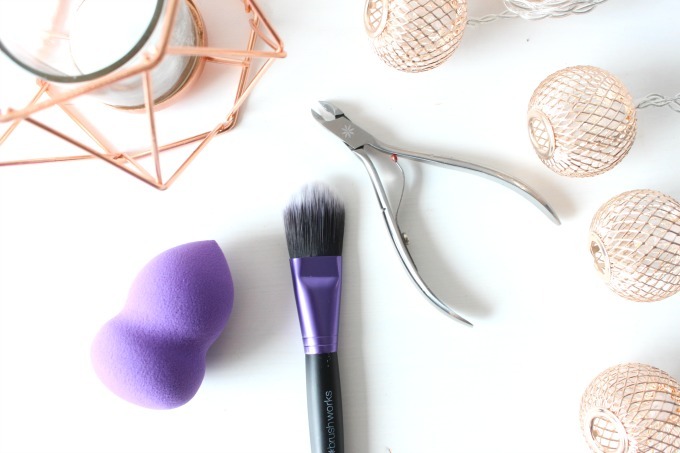 The sponge is a really nice design, an unusual shape and a little firmer than I expected, but it works really well and for £6.99 compared to the £16 of a Beauty Blender, it’s well worth the cash! Next up is the Brush Works Cuticle Cutters, something that I have never thought of purchasing before, purely because of the price. 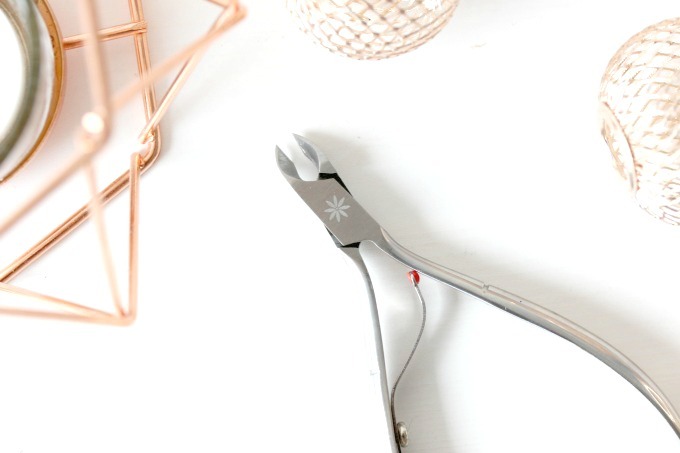 £16 or something silly for a tool that until two days ago, scared and confused me was a little ridiculous, especially since grabbing a little stick and pushing my cuticles back has always been fine for me. However again, I have realised that I am a useless girl / beauty blogger and that all this time I have needed one of these gadgets. They are so easy to use (why I was scared I will never really understand) and make my nails look so much cleaner, neater and healthier! These brush works ones are also a bargain (and the cheapest I have ever seen) at £6.99! I definitely recommend them to you all! Last but not least is this foundation brush again from Brush Works, which is super soft and an absolute steal at £5.99. I’m not a massive fan of flat foundation brushes like this if I’m honest because as I mentioned above, I do predominantly use beauty complexions sponges but this one has been a nice addition to my ever growing brush collection for concealer. The flat angle is perfect for patting on the concealer and great for getting in under my eyes! I’ve yet again been really surprised at how good these beauty tools have been and am looking forward to trying out a couple more bits from the collection. At amazing prices (I don’t think I’ve seen anything over £6.99) you really can’t go wrong with these bits. Make sure you check them out and let me know what you think! If you’ve tried any of their products before it would be great to know what you thought of them!